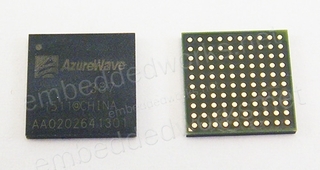 AzureWave Technologies, Inc. introduces the IEEE 802.11ac/a/b/g/n 1X1 WLAN & Bluetooth & NFC & FM SIP module --- AW-CH387. The module is targeted to mobile devices including Notebook, TV, Tablet and Gaming Device which need small package module, low power consumption, multiple interfaces and OS support. 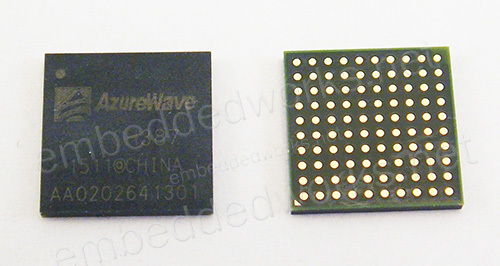 By using AW-CH387, the customers can easily enable the Wi-Fi, and BT embedded applications with the benefits of high design flexibility, short development cycle, and quick time-to-market. Software Support Linux (Android, Meego), More information please contact Embedded Works Sales.